Rachel Grob, MA, PhD, co-authored a recent New England Journal of Medicine article on how patient narratives can improve health care quality. Online comments aren’t just for choosing the best restaurant or service provider. They also help people choose their next doctor – and if collected and reported rigorously, can improve health care quality. 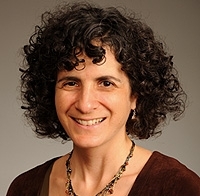 That’s the subject of “Taking Patients’ Narratives about Clinicians from Anecdote to Science,” a recent New England Journal of Medicine Sounding Board article co-authored by Department of Family Medicine and Community Health (DFMCH) Senior Scientist Rachel Grob, MA, PhD. The authors lead off with the facts: 31 percent of Americans read online comments from other patients about their experiences with clinicians, and 21 percent use those comments when selecting a clinician. They explain how patient narratives—individual accounts of clinical experiences—can highlight aspects of health care quality not captured by standardized, quantitative measures, or even conventional, closed-ended qualitative surveys. For example, narratives provide rich descriptions of what an individual patient may value in a clinician, such as bedside manner, communication skill, or treatment style. Narratives may also provide insight on why a physician received a particular quantitative measure. What’s more, narratives can help clinicians better understand how patients perceive their care, adding nuance to a standardized score. Are Patient Comments a Diversionary Threat? 31% of Americans read online comments about patients’ experiences with clinicians; 21% use these when selecting a clinician. 65-90% of online patient comments are positive. Online comments may alter patients’ use of other quality metrics. Patient narratives must be held to the same levels of scientific rigor as used for conventional patient experience surveys. Narrative comments are compelling to other consumers—so compelling, in fact, that they alter patients’ use of other quality metrics when both kinds of information are presented. Earlier studies demonstrate that although patients interact more with websites that include comments, they pay less attention to the quantitative ratings on those sites. They also are less likely to investigate the data behind the ratings, and in some cases, disregard it altogether. In addition, clinicians have legitimate concerns about whether posted comments are accurate and come from real, recent patients. To address these challenges, the authors propose ways to hold narrative data to the same levels of scientific rigor applied to conventional patient experience surveys. Testing those reporting methods to ensure usability by patients and clinicians. Accomplishing this will require an investment in research and implementation, the authors conclude. But, just as websites that incorporate user reviews already influence consumer choices, the effect of patient comments on clinicians is bound to grow, too. “Moving from anecdote to science in collecting qualitative data about the experiences we all have with health and health care is one way my co-authors and I are striving to amplify patients’ voices and be sure they are heard,” noted Dr. Grob. Stay tuned for additional publications from Dr. Grob and colleagues in the months ahead.